Public Security Minister Gilad Erdan responds on his Facebook page to B'Tselem campaign calling on soldiers near Gaza to refuse orders. So now it turns out that while our soldiers are guarding southern communities during the holiday, some delusional radical leftists (because of the holiday spirit I won’t add “enemies of Israel”) are sitting in the air-conditioned office of B'Tselem in Tel Aviv, giving instructions to soldiers in the field. No less. They expect our soldiers to listen to their “protocols for not opening fire,” and not to the chief of staff's orders. So, listen carefully, B'Tselem: I understand that you have to justify the salaries that you receive (including those from the New Israel Fund and the European Union), but this era in which you preach morality to Israeli society while we remain humbly silent is over. No one buys your nonsense anymore. You are a bunch of terror-supporting liars. If peace really mattered to you, you would call on Hamas not to send terrorists to break through the border fence. If the Palestinians in Gaza were important to you, you would call on Hamas to take care of them instead of using their money to finance concrete for terror tunnels. From lack of space and the disgust you arouse in me, I do not even relate to the fact that Israel left Gaza and Jews were expelled from it, not so that Gaza would become a terror nest. And the people of Gaza also chose this terror organization! Leave this subject and tell me the answer to one simple question that every Israeli who saw your disgraceful call to soldiers asked himself: Who are you at all? Maybe you want to stand in the place of our soldiers on the other side of the fence? It’s interesting to speculate how the terrorists would receive your "unarmed" faces. Who are you to give instructions to our soldiers and commanders? Are you concerned about the security of Israeli citizens in the South? This is a stab in the back of Israel's southern residents during a confrontation with a terrorist organization, and I will ask the attorney general to examine the possibility of a criminal investigation against B'Tselem for sedition. 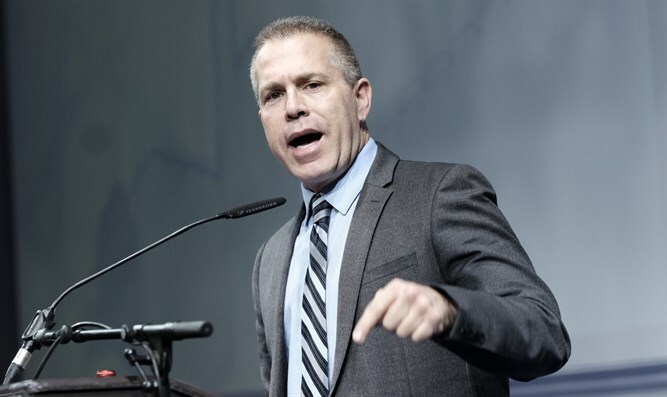 MK Gilad Erdan (Likud) is the Minister of Public Security, Strategic Affairs and Minister of Information.